To determine iron status of healthy, unrelated Brahmin, Jain and Muslim participants having different dietary habits. Control participants other than above three communities, consumed vegetarian or non-vegetarian diet. Brahmin and Jain were strictly vegetarian but Jain did not consume roots or tubers. Muslims consumed non-vegetarian food. Standard techniques were used to measure hematological parameters, serum iron, total iron bindings capacity (TIBC), serum ferritin, transferrin and transferrin saturation. For statistical evaluation mean, standard deviation, pair t test, χ2 and ANOVA (F test) were employed. Study includes 565 male and 198 female children and adults. Among them 205 were children and remaining adults. All four categories i.e. control, Brahmin, Jain and Muslims showed higher incidence of anemia and iron deficiency in females compared to males. Mean values of hematological parameters did not vary significantly in four groups. 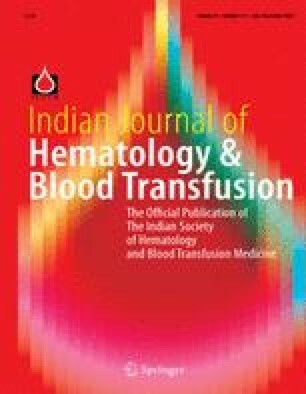 Serum iron, TIBC, transferrin and ferritin levels indicated iron deficiency anemia more frequently in Jains and less frequently in Muslims (p<0.05). Iron status of Brahmin was comparable with controls (p<0.01). Majority of the participants had serum ferritin concentration >15 ng/mL. Except one male Jain child none of the participants had serum ferritin concentration <12 ng/mL. Jain subjects more frequently had serum iron concentration <60 μg/dL. Jain participants had higher incidence of iron deficiency anemia. Vegetarian diet consumed by Gujarati Hindu Brahmin community provided them with a sufficient iron to maintain their iron profile like Muslims consuming non-vegetarian diet.